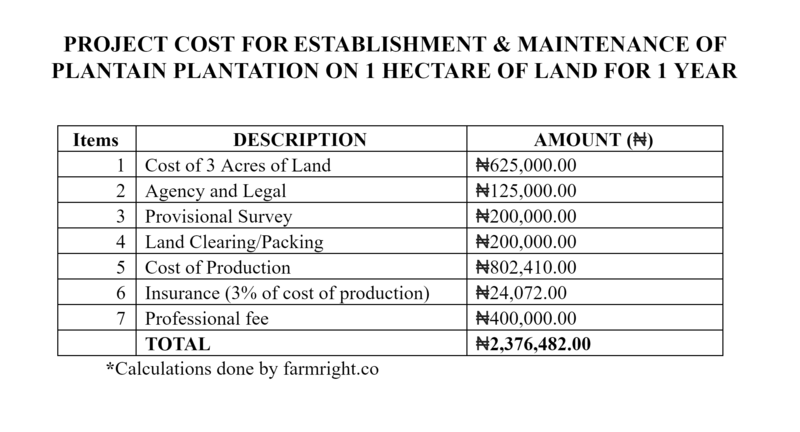 Operating a plantain plantation on 1 hectare of land with Farm Right will cost you ₦2,376,482 or $6,601 (exchange rate: ₦360 to $1). This is a very low cost to pay for running a successful plantain plantation without doing the farm work. 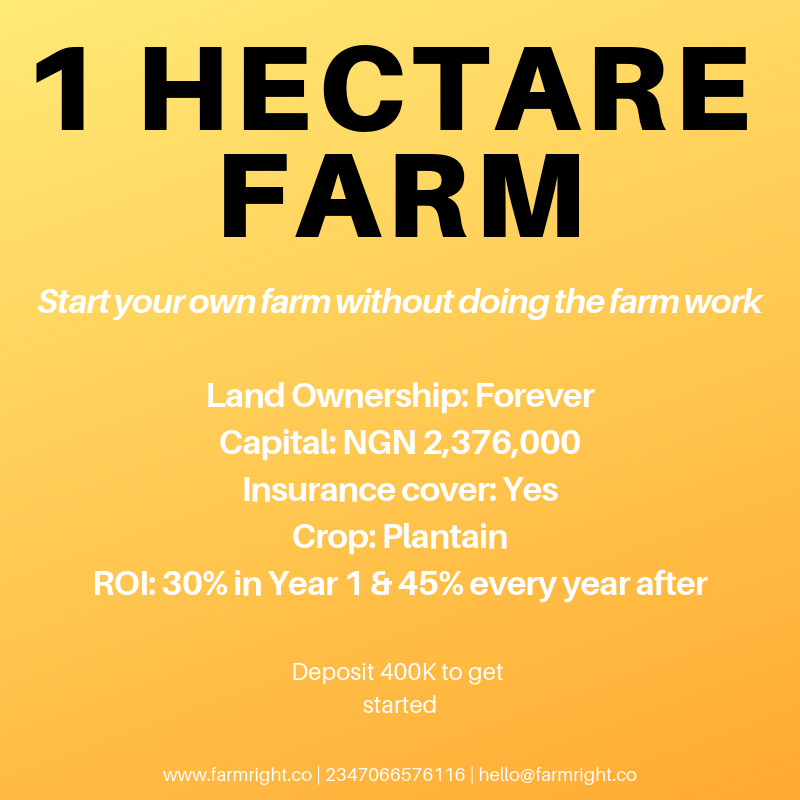 At Farm Right, we want you to own your plantation like it was a business you started and hired the smartest people that know about plantain plantation to run, so we will consistently provide you with information and give you the business transparency you deserve. 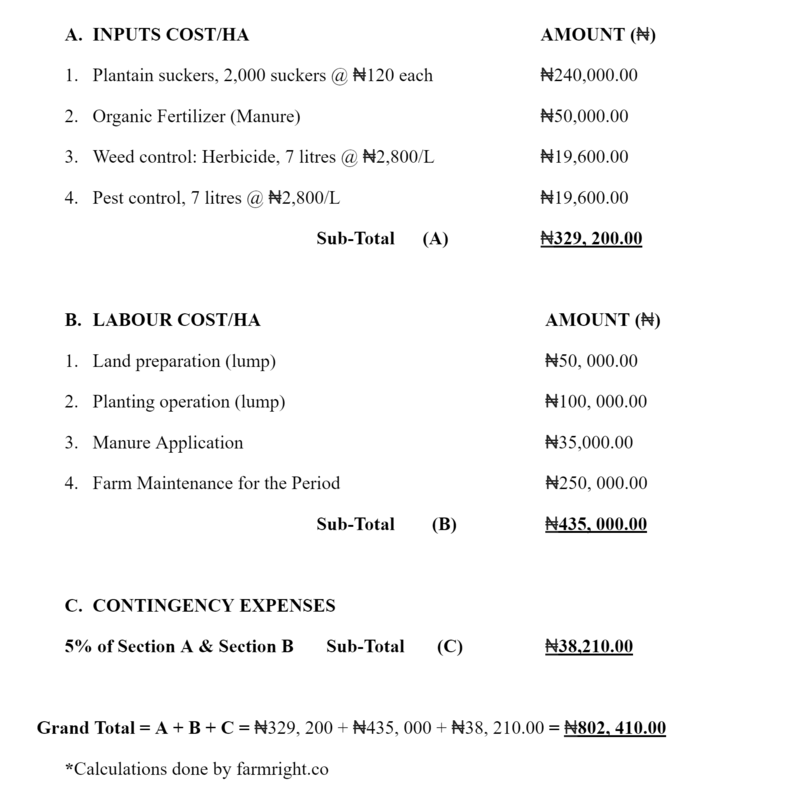 To this extent, we have broken down the cost of running 1 acre of plantain plantation with Farm Right. If you would like to see the breakdown of running 1 acre of plantain plantation, click here. 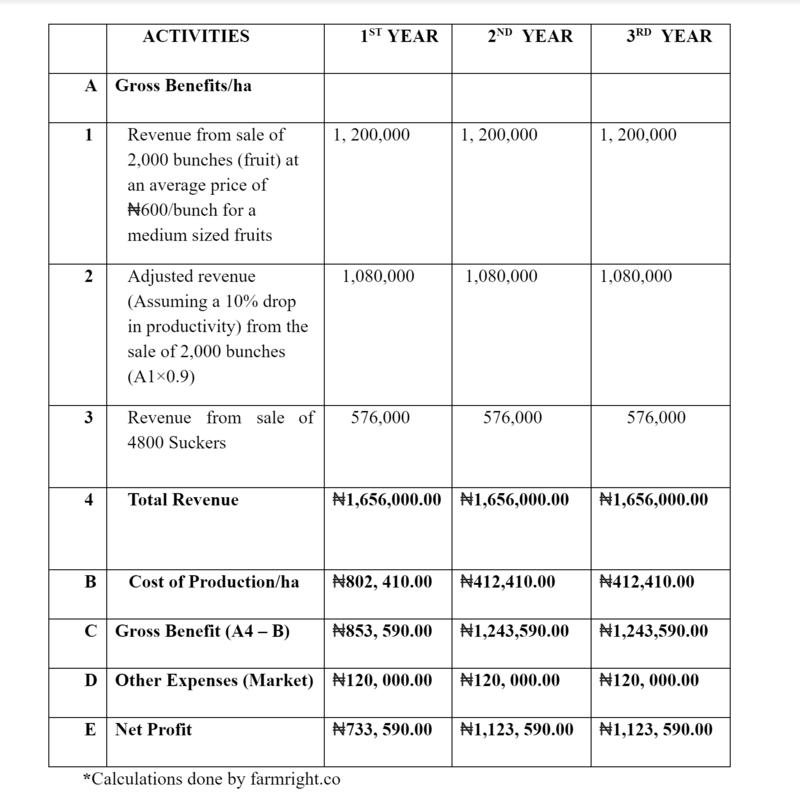 Start your farm today and earn over 3 million naira over the next 3 years.